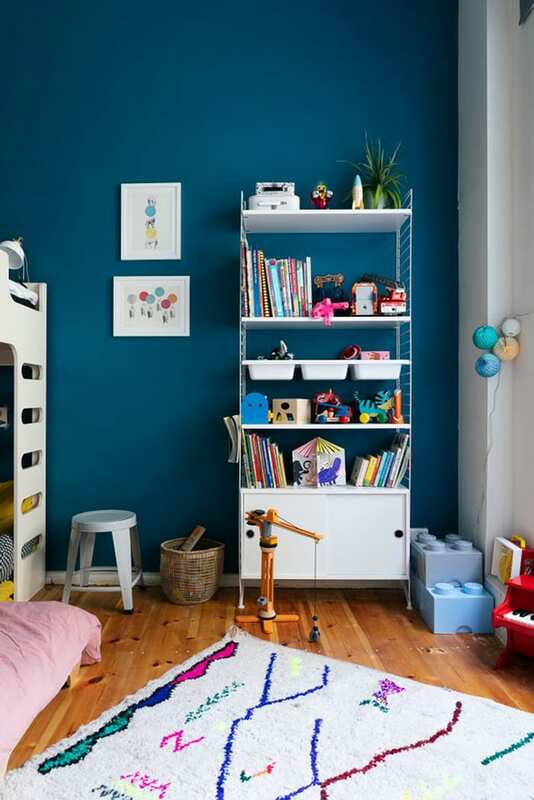 How to create a great room for two children ? We got a solution! How many of you faced this problem – should we keep kids in the same room, or should we try to create two different spaces for both of them? 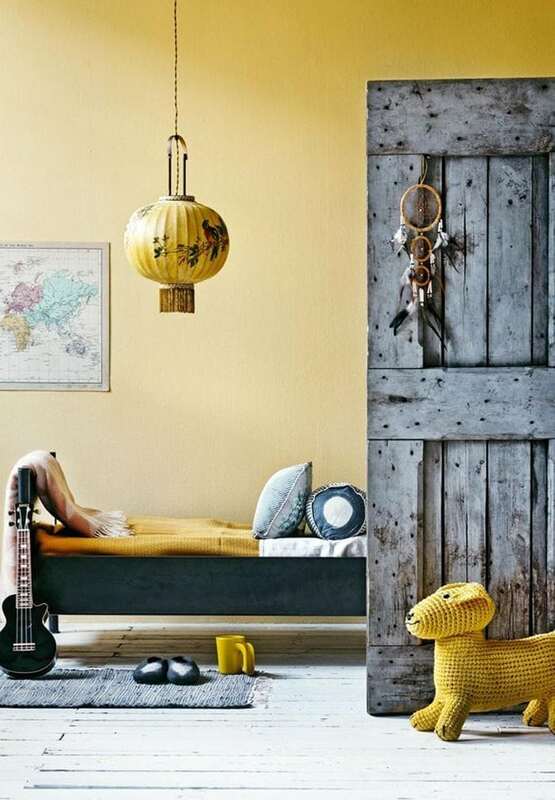 Sometimes there is simply no possibility to create two separate rooms. The good news is that there are many positive aspects of sharing a room with a sibling! 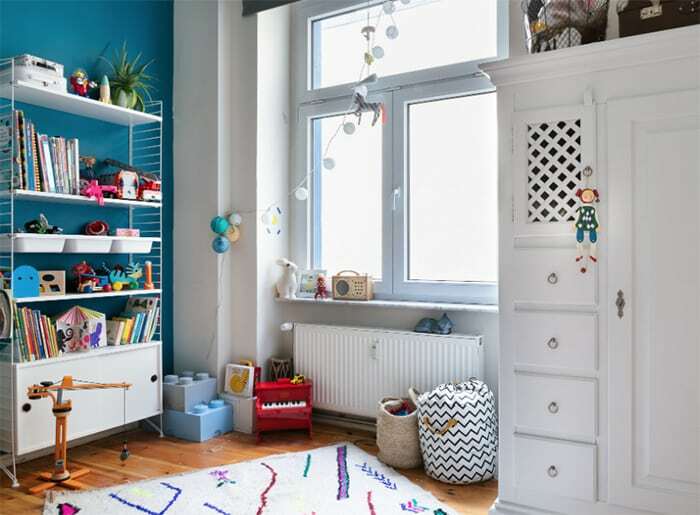 Today I’m so excited to show you a playful room in Germany and tell a bit about Isabel. 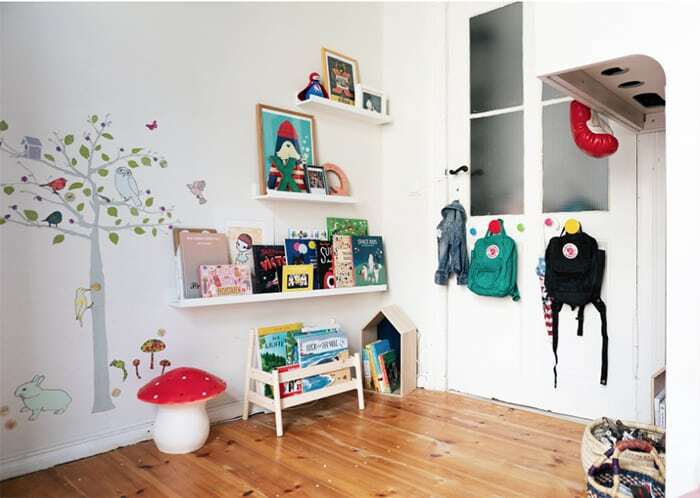 She is a mom of two, an older boy and a baby girl, and she created this cozy kids room of 13 m2. You can find her original story on her blog here. Isabel told us that the most important for her was to give her kids place to play, relax and sleep and that they would feel comfortable there. 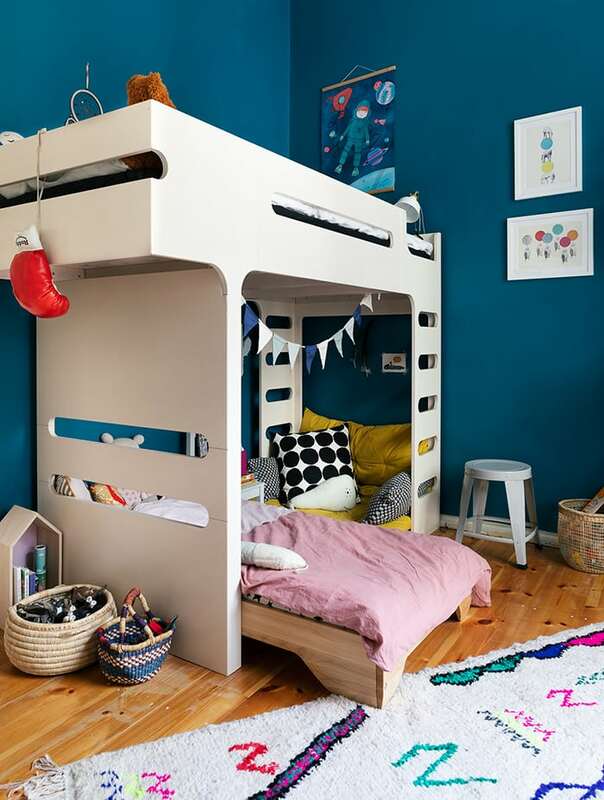 When dealing with small spaces and more than one kid, she found a solution in Rafa-kids F bunk bed which allows both kids to have personal space. 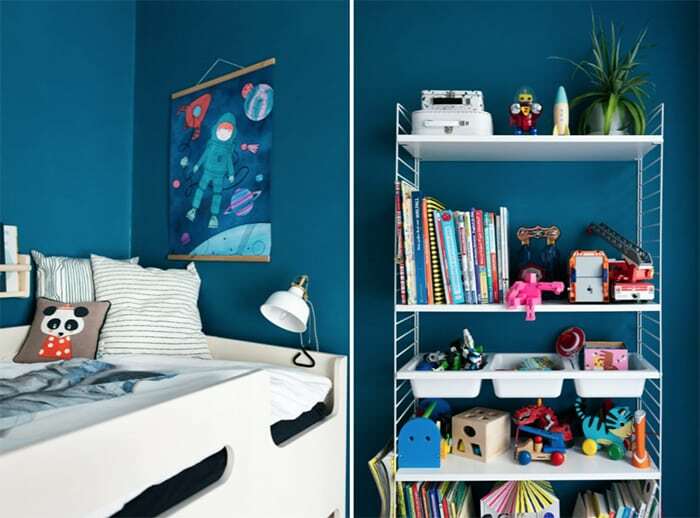 In this case, she managed to create a cozy corner for her boy on the upper level and to give all the area under the bunk bed to her little girl. The space under the bed is entirely hers, and as she told us, she likes to spend a lot of time in this cozy corner. They like so much to read together there. At the same time, the upper floor becomes private cove for the firstborn. 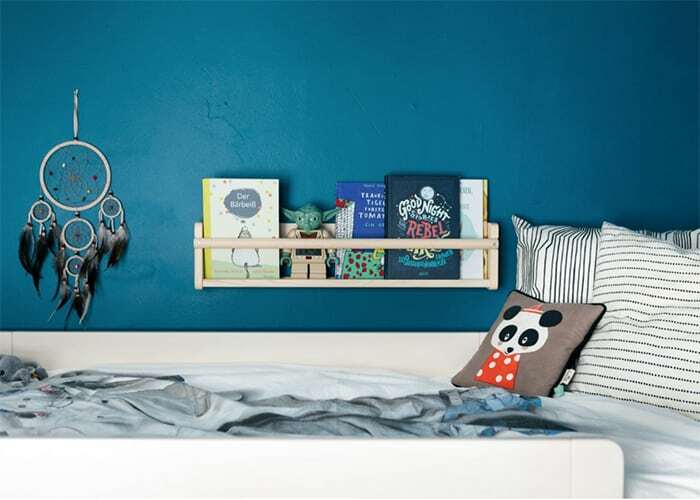 It’s not just comfortable area to sleep, but a hang out niche with a little shelf for books and personal belongings. I’m pleased to show you this ‘real room’ today, as Isabel also told us that she didn’t hide anything to make those pictures. She would like to share with us how happy she is with the result – and even told us that is her favourite room in the house at the moment! 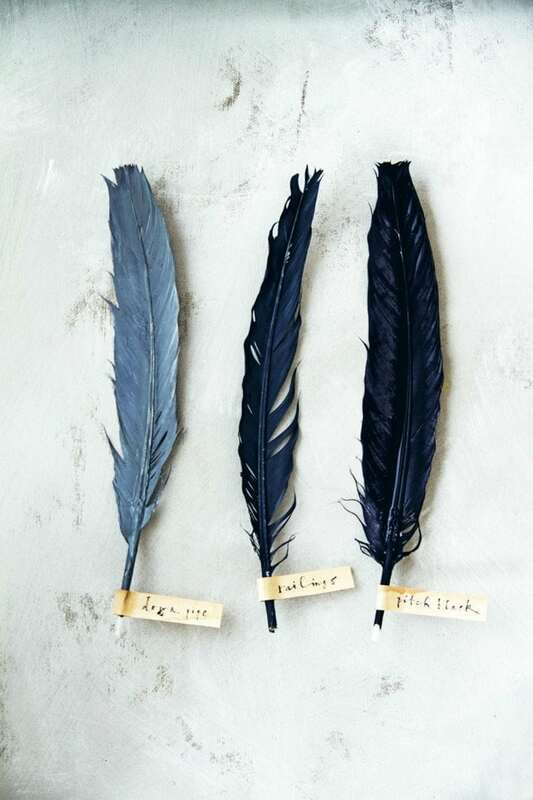 Posted in Color inspiration, Room tour and tagged #kidsroom, #rafakidsdesign, #roomforsiblings. 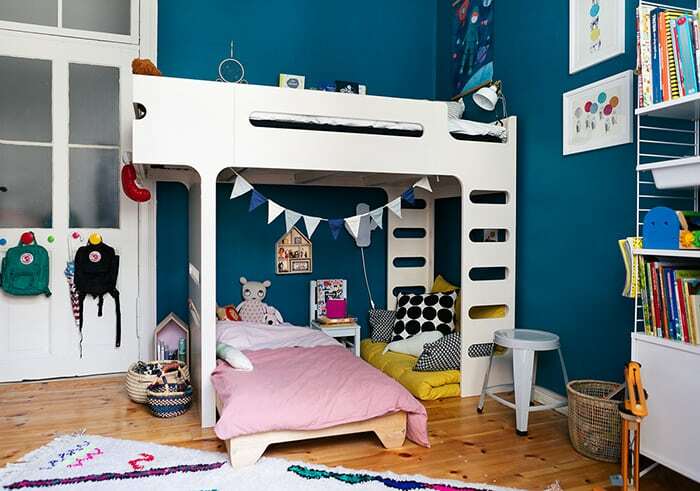 ← NewerWhen is your child ready for a bunk bed ?